A cocoon of bliss for the senses. 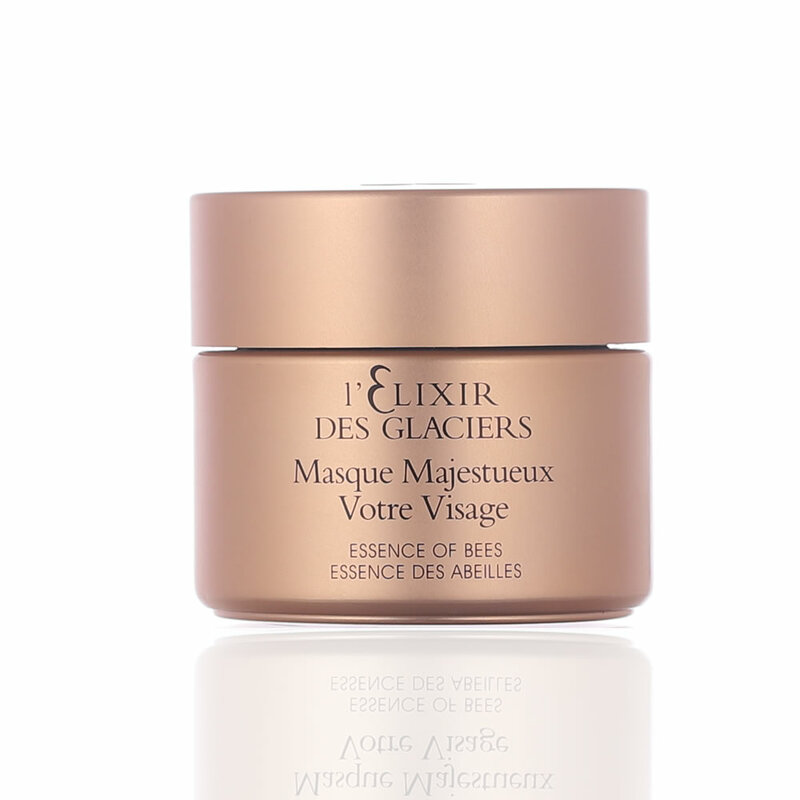 Masque Majestueux Votre Visage features a delightful texture that transforms with time for a singular sensory experience. Thanks to an exquisite galenic formula, the mask softens and lends itself to kneading, offering the skin a moment of absolute pleasure. A miraculous treatment: 10 minutes are all it takes to sublimate the skin for many days. Use: Once or twice a week, apply a thick layer to clean skin. Massage the face with upward circular movements for 1 to 2 minutes to relax the skin and encourage absorption of the nourishing active ingredients. During the massage, the texture becomes more oily. Leave for 5 minutes, then massage the mask with wet hands. The texture becomes milky. Rinse and finish your facial with your usual face care products.